The loggerhead sea turtle continues to captivate researchers over the years, as a new study reveals that these creatures disprove previous theories about genetic similarities. Rather than genetic similarity being driven by geographical nearness or by similarities in environments, researchers say that the genes of the loggerhead sea turtle are strongly correlated with the magnetic field in the place they were born. Scientists with the University of North Carolina published the results of their recent study in the journal Current Biology. 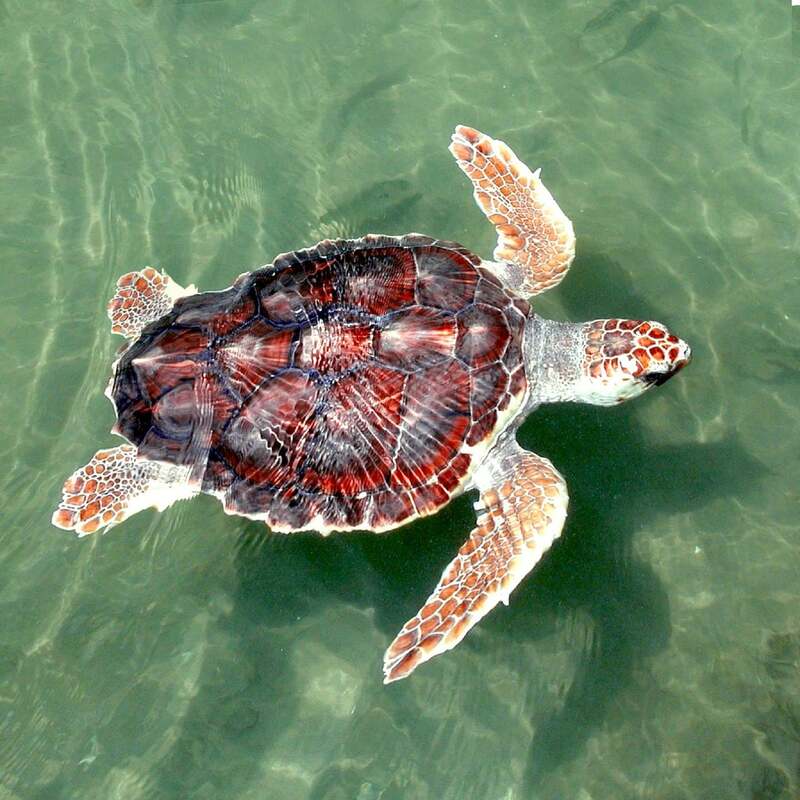 The authors’ study built upon their own previous research, which found that the loggerhead sea turtle navigates back to the nesting beach of its birth using magnetic fields. In their most recent study, Kenneth Lohmann and J. Roger Brothers examined the genes of nesting female sea turtles found in 20 different places in the southeastern U.S. They found that the best way to predict which turtles would be genetically similar to each other was to look at the magnetic field that surrounds the nesting area where they hatched. They believe that sea turtles pick up a magnetic imprint from the nest where they were born when they are very small or possibly before even hatching. The researchers think the most likely magnetic parameters that turtles imprint shortly before or after hatching are inclination and intensity, although they also note that there could be other parameters involved in the imprinting. They also said that this magnetic imprint serves as a sort of compass that enables them to return to the same nesting area even after swimming far away, sometimes traveling as far as Africa from the East Coast of the United States. Thus, it’s logical that turtles which follow this magnetic imprint to return home would all bear similar genetics. However, the researchers also explained that navigating by magnetic fields isn’t entirely foolproof for the loggerhead sea turtle, as they learned that sometimes, turtles lose their way. They examined loggerhead sea turtle populations on both sides of the Florida peninsula and found that the beaches on both sides have magnetic fields that are similar. They also found that when a turtle does lose its way, it tends to travel further to a beach that has a magnetic field that’s similar to that of the beach it was born on rather than swimming to a closer beach with another magnetic field. Thus, if sea turtles with similar genes are all drawn to beaches with similar magnetic fields, it’s logical that they would be genetically similar with the others nesting on their beaches. The researchers also noted that Earth’s magnetic field gradually shifts over time, which causes a drift in the magnetic signatures that mark each of the nesting beaches and contributes to turtles getting slightly lost from time to time. The researchers warned that it would be easy to disrupt turtle nesting areas because it wouldn’t take much to change the magnetic field on nearby beaches, and any major changes could be devastating to the loggerhead sea turtle population. They also said that their findings on magnetic imprinting of turtles could have similar implications for a variety of other animals that migrate over long distances, including birds, reptiles, fish and even some mammals.